This is Luna (left) and Lily (right) who were named by the big Harry Potter fan in my house. They are dozing with Order of the Phoenix plus a bonus Hedwig cushion. 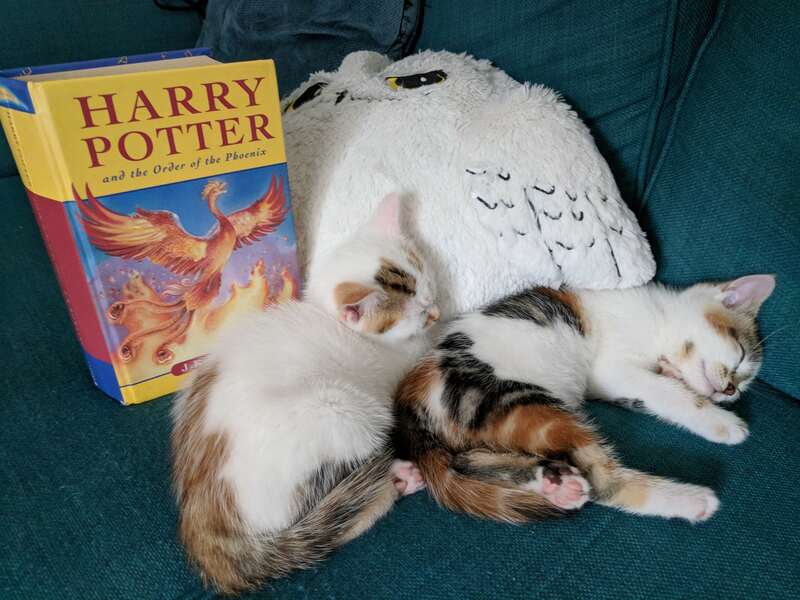 This entry was posted in Cats Sleep on SFF and tagged Harry Potter, Mark Hepworth by Mike Glyer. Bookmark the permalink. with extra added kitten! Yaaaaaaaaaaaay! They’re very cute. Love the names, too. And two calicos at that… brave man.